Double shortage of liberties, which is also called two-sided approach block by Robert Jasiek, usually refers to the loss of a capturing race because one side requires approach moves on either side of a group. This is a conventional example from Gokyo Shumyo, Section 1, Problem 38 / Solution. 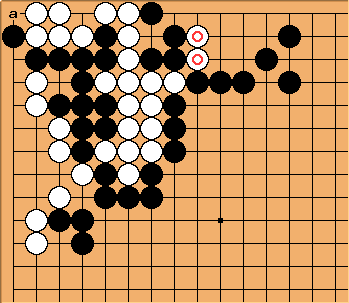 Observe that although both the and groups appears to have two liberties each, Black is unable to make approach moves at a or b without putting himself in self-atari. Hence, White has effectively captured the stones. 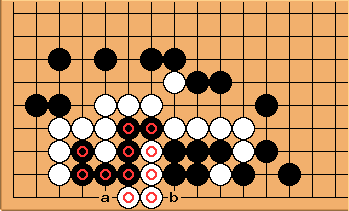 In this example (from TFG9 Black Upper Left) White wins the race despite some apparently bad shape. Black will never be able to play safely at a, now. And the stones must be captured by Black before he can approach from the other direction.